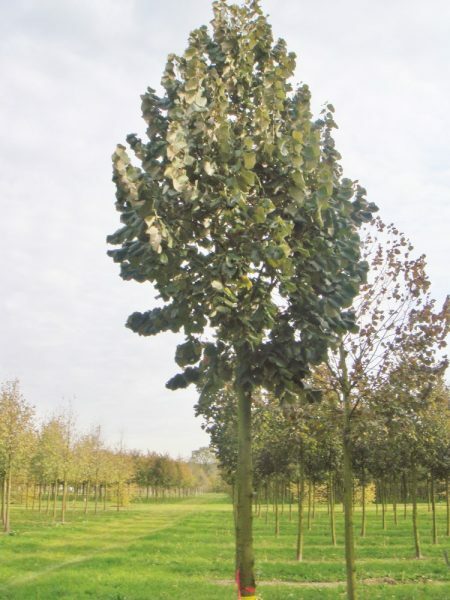 Tilia tomentosa or silver lime is a large tree, growing to 20 m or taller. The large dark green leaves have a silvery-white underside, providing a contrast which move attractively in a breeze. The floral display of this tree is fragrant, with small creamy coloured flowers appearing in late summer. In autumn the leaves turn a glorious yellow before falling from the tree. Like all Limes it will tolerate most soil conditions well but does require space to reach its full glory.